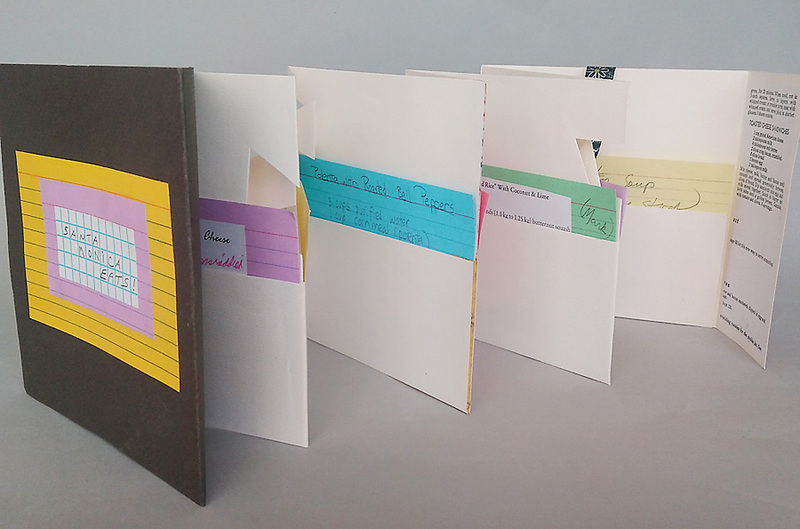 “Santa Monica Eats” Bookmaking Program at the Santa Monica Public Library! Join us for a wonderful event at the The SMPL Main Library and create your own book to hold your treasured recipes! Make an accordion fold book with pockets to keep your favorite recipes in! Adorn your useful and beautiful book with decorative papers, textures, ribbons and pop-ups you cut yourself right in the folds of your book!